The men's basketball NCAA tournament selection committee announced its top 16 teams Saturday afternoon with the Duke Blue Devils leading the way as the No. 1 overall seed. Joining Duke on the No. 1 seed line were Tennessee, Virginia and Gonzaga. Nothing too shocking there, and those rankings are liable to change drastically between now and Selection Sunday. Last year, Oklahoma was in the top 16 reveal, and then the Sooners barely made it into the tournament as a No. 10 seed. But what (hopefully) won't change in the next five weeks are the messages the committee delivered with this sneak peek. Those of us in the bracketology industry were curious to see how the committee would use its new ranking tool, and these are the five biggest takeaways from the reveal. 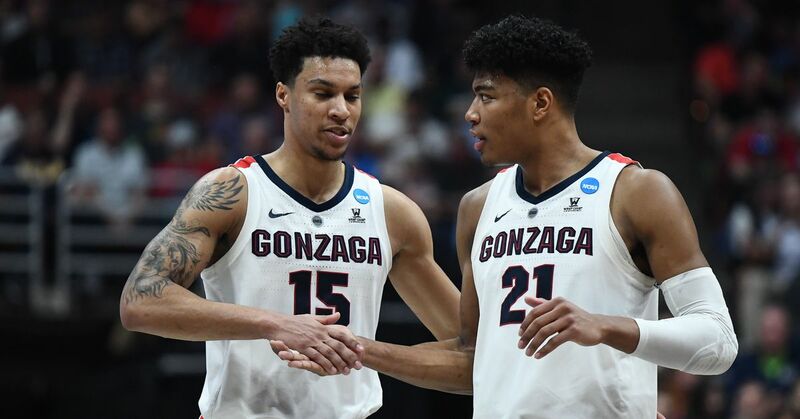 Much has been made about the transition from the rating percentage index to NCAA evaluation tool as a means of sorting teams, but what hasn't changed is the quadrants conversation that began last year. It used to be that resumes were broken down into records against the RPI top 50, top 100 and top 200 and then records against teams below 200. But under that system, a home win against RPI No. 50 looked better than a road win over RPI No. 51. So the NCAA introduced quadrants before the 2017-18 season. Quadrant 1 games were home games against the RPI top 30, neutral-site games against the RPI top 50 and road games against the RPI top 75. It's the same breakdown this year, only now it is based on the NET rankings instead of RPI rankings. During last year's half-hour top 16 reveal, we probably heard the phrase "Quadrant 1" close to 100 times. It was abundantly clear that was the biggest resume detail the committee was looking at. And Marquette's spot as a No. 3 seed (No. 12 overall) is proof that Quadrant 1 is still king. The Golden Eagles are No. 21 in the NET rankings and No. 30 on KenPom.com, largely because they have had a lot of close wins and a couple of blowout losses. (Both NET and KenPom are deeply rooted in margin of victory and efficiency.) But they have seven Quadrant 1 wins—tied for the third-most in the nation. As a result, the committee disregarded the new sorting tool and vaulted Marquette ahead of a lot of teams—including NET No. 10 Virginia Tech, which was left out of the top 16 likely because of some combination of its 3-4 Quadrant 1 record and its abysmal nonconference schedule. Two other teams were positively impacted by Quadrant 1 wins. Michigan State was a No. 2 seed with a nation-best nine Quadrant 1 wins, despite entering the day on a three-game losing streak. And Kansas—ranked 18th in NET—was the committee's No. 10 overall team thanks to eight Quadrant 1 victories. Beating quality opponents matters, folks. This has been an axiom from the committee for many years, but it's something fans can't seem to comprehend when making arguments for or against certain teams. Kansas State is alone in first place in the Big 12, but the Wildcats are nowhere to be found in the top 16. (Nor should they have been.) The top team represented from that conference was tied-for-fourth-place Kansas. The Big East was treated similarly with 8-2 Marquette a No. 3 seed and 10-0 Villanova left in the lurch. The irony is that those are the only two leagues from which you could argue conference records should matter, since each team plays two games against each other team. League records really don't matter in the imbalanced ACC, Big Ten and SEC. Remember: The committee looks at resumes, not just conference standings. In fact, conference records don't even show up on the nitty-gritty sheets. Arguing for something like that to matter is about as logical as arguing about a bubble team's rebounding margin. This is good news for teams that may have suffered a disappointing loss at less than full strength and bad news for teams still hanging their hats on quality wins that were acquired before they lost a key player to injury. Duke was No. 1 overall, so the committee seemingly gave it a mulligan for the home loss to Syracuse in which Cam Reddish did not play and Tre Jones suffered an injury after just six minutes. That was the worst loss suffered by any of the No. 1 seeds, and it's not even close. But the Blue Devils have resumed their dominant play at full strength, so it's no big deal. "While Kansas has a similar number of Quadrant 1 wins as [Michigan State], we thought Kansas' performance on the road [1-6], along with the unfortunate season-ending injury to Udoka Azubuike, kept the Jayhawks behind Purdue," he said. "At the same time, the abundance of quality wins kept Kansas in front of Houston." Those November neutral-court wins over Michigan State, Marquette and Tennessee look great, but the Jayhawks have been a different team since they lost Azubuike. That's something the committee is taking into consideration. Prior to the top 16 reveal, Muir spoke with Matt Norlander of CBSSports.com. He made it clear that road records—which have always been a key discussion point—are extra important this year. "We recognize now, even more so than prior, road wins and crediting road wins," he said. "That's something we heard from our coaching brethren, the National Association of Basketball Coaches saying, 'We want this factored in as you continue to compare teams and trying to select and seed.'" Muir mentioned Kansas' poor road record factored into the struggle to properly seed the Jayhawks. And Kansas is one of just three teams (with Purdue and Iowa State) in the top 16 that doesn't have at least two more road wins than losses. Duke and Tennessee are the only two teams that are undefeated on the road this season, and they were the top two overall seeds. Even though Nevada has yet to play a Quadrant 1 game this season, the Wolf Pack sneaked in as a No. 4 seed, no doubt thanks to their 11-1 record in road and neutral games. What is a little confusing about that emphasis on road warriors is that Villanova (5-2 on the road) and LSU (5-1) were left out of the top 16. I thought both of those four-loss teams would make the cut. But with 19 teams reasonably in the running for those 16 spots, a few deserving resumes had to be left out. There were a couple of noteworthy differences between the committee's seedings and the NET rankings. Kansas and Marquette were many seed lines higher than they would have been if seeding had been based entirely on NET rankings. Virginia Tech was left out. Houston and Wisconsin are a bit worse than their NET rankings, in the eyes of the committee. But unless there's something about a resume that jumps off the page—such as a bunch of Quadrant 1 wins or an unsightly strength of schedule—it seems like the committee is more or less going to default to the NET rankings. Twelve of the 16 teams have a NET ranking within two spots of where the committee seeded them, and three of those teams are in the same spot on both lists. The No. 1 seeds are all in the top four in NET, and all eight Nos. 1 and 2 seeds are in the top nine in NET. We'll have to wait until Selection Sunday to see if that adherence to NET carries all the way to the bubble, but it does seem like the committee is more hesitant to disregard NET than it was RPI. NET and Quadrant data courtesy of WarrenNolan.com.